Christopher Pappas, CEO of eLearning Industry. SAN FRANCISCO - Oct. 15, 2018 - PRLog -- The network-based media and publishing company, eLearning Industry, has published its sixth annual list of the world's top eLearning content development companies. 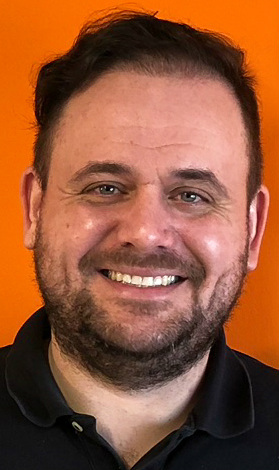 The owner and founder of eLearning Industry, Christopher Pappas, commented, "Every year, we evaluate hundreds of eLearning content development companies (https://elearningindustry.com/directory/business-categories/elearning-content-providers) to determine which ones stand out for their long-standing, enterprise-wide commitment to eLearning content development excellence." "The Customer Reviews criterion is of the utmost importance in determining a candidate's ranking," explained Christopher Pappas. "We know that bad reviews, good reviews – or, especially, a lack of reviews - can make or break a business, because customers trust online reviews to the point that they find them at least as important as personal recommendations." Based on these eight key criteria, this year's "special award winners" among eLearning's content developers are: SweetRush, EI Design and Kineo. The top ten eLearning content development companies for 2018 are: Learning Pool, InfoPro Learning, CommLab India, AllenComm, Kallidus, Obsidian Learning, Designing Digitally, Knowledge Anywhere, Upside Learning and Raytheon Professional Services. The research which produced this list also generated a list of the top ten "high value eLearning content development companies". These are: GP Strategies, Aims Digital, Virtual College, iHasco, Monarch Media, SureSkills, Roundtable Learning, Inno-Versity, CrossKnowledge and The ID Crowd. While the composition of the 2018 "Top Ten" is similar to the 2017 list, this year's special awards to : SweetRush, EI Design and Kineo, along with two companies' exits from the list allow for five "new entries": Learning Pool, Kallidus, Knowledge Anywhere, Upside Learning and Raytheon Professional Services. Last year, eLearning Industry also named ten "noteworthy" eLearning content development companies. Of these ten companies on the "noteworthy" list in 2017, Upside Learning (number two on the 2017 list) has been named on the 2018 top ten eLearning content developers list, while GP Strategies (number eight on the noteworthy list in 2017) heads the 2018 list of the top ten "high value eLearning content development companies". "Further details about the 2018 lists and why the companies that we've identified deserve a place on them can be found (https://elearningindustry.com/top-10-elearning-content-de...) on the eLearning Industry website," said Christopher Pappas. "The key thing to stress about these lists is that they are an attempt to help eLearning content buyers to make some sense of a crowded and, therefore, confusing marketplace. The content developers who 'make the most noise' are not always the ones who provide the best value for buyers and learners – and those who're the cheapest don't always provide the best value for money." The list of the current top eLearning content development companies is available via eLearning Industry's website (https://elearningindustry.com/top-10-elearning-content-development-companies-2018).